Is there really such a thing as an indestructible dog toy…? Well … yes and no.. 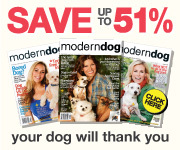 The real question is : Are your dogs going to like it? and How long will it last..? Most indestructible dog toys are hard rubber and good for interactive playing with a human friend. In a multi-dog household, it is important to have toys that the dogs can play with on their free time, and many times will involve a good game of Tug and “I’ve got the toy” tag. Sometimes the best toys are destroyed human toys, like an old football or soccer ball. Almost all of my dogs Love soft toys… for about 5 minutes… then the “squeek-ectomy” is performed and all the stuffing is removed. So, you have a chewer..! If you have a dog or dogs, that are aggressive chewers the first thing you need to do is get them some things that they can chew on that will be beneficial for them. Dealing with a pack, always remember that everyone gets the same thing and you should always supply a couple extra. Stay away from things that can be eaten quickly by one dog, for example rawhide. Not only can Rawhide be eaten easily by aggressive chewers, but it can also cause them intestinal distress and rawhide is loaded with chemicals. 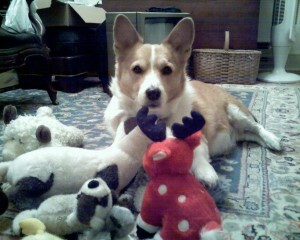 My Pack is treated to Moose Antlers twice a year. My favorite source to date is Acadiaantlers.com. All antlers are a bit pricey, but Acadia supplies naturally shed Moose antlers from Maine. Moose antlers are the hardest of the three most popular antlers, Elk have Marrow and tend to break, Deer are softer and will not last long. Acadia Antlers occasionally run specials and you may be able to find a coupon now and then.. Bulk packing is a plus and if you are unsure what size to get… go bigger. Your Dogs will Love these… they will chew on them until they are tired of chewing.. eventually they will be able to eat most of the antler, but it will take a while. I have found that with some of my heavy chewers, these antlers dilute the need for chewing on more easily destroyed products. Satisfying your dogs need to chew can go a long way to helping his other toys survive. It is important to remember that although dog toys are marketed as toys for your dog, most of them need human participation to avoid instant destruction. If your dog has got you frustrated with the constant need for new toys, it may be time for you to investigate a new activity for your dog where his favorite toy is his reward. A few years ago, as I started to train my second agility dog, a very toy driven Cardigan Welsh Corgi, I realized I was not getting the attention I desired with the usual food reward technique with him. Eddie, however is a bit OCD about his Frisbee, and not just any Frisbee, it HAS to be a red Kong Frisbee, but being a Corgi, I am always conscious of his little legs, his long back and what he should not be doing with them… He is just not built to be jumping into the air…So, I took advantage of his great LOVE of his Frisbee and used it as his main reward for his Agility training. Eddie has gone through many red Kong Frisbee ‘s, they are not indestructible, as he can put a hole in one in about one minute, but now that the only time I bring out this special toy is when we go out to train, (or as we call it PLAY) He knows what his job is and that he will get his favorite reward in the end. Who is obsessed with the ball? Not all dogs will be responsible enough to hold onto a ball long enough for them to bring it back to you. If you are using balls for free time walk, expect to loose lots of balls. 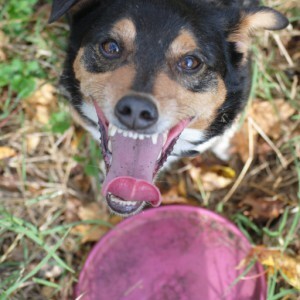 Eddies obsession for his Frisbee was quickly redirected to a tennis ball through no act of mine… He is just that kind of dog… or so I thought.. Being a corgi, Eddie is very in-tuned with where I am and where I am going… and will constantly bring me a ball to throw for him. Eddie is very responsible and rarely looses a ball or fails to bring it back to me. And so I throw… At one point Eddie pulled a muscle in his groin which made him limp.. but did not stop him from running, or wanting to chase his ball…. so, out came the Leash, and Eddies free walks with the pack no longer included a ball, and he was limited to walking. As Eddie improved, and his limp disappeared , he once again joined us for our walks with out the leash, and although I did not bring any balls he would invariably find one and proudly bring it to me. If I were to acknowledge it or bend to pick it up, he would be off in a flash, ready to retrieve. While I considered this, knowing that his conditioning was not ready for retrieving, I decided to ignore his gift of a ball and just continued on our walk. 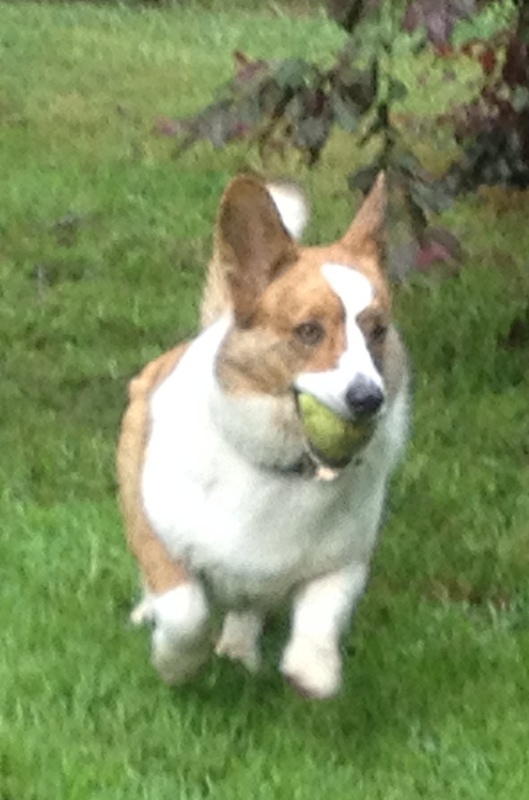 For about a week he continued to procure a ball from the tall grass and try to position himself in front of me to deposit it so it may be thrown… I just continued to walk..
Eddie started to play with my other corgi. He started to enjoy rolling in the grass, sniffing about and digging.. He disassociated our free time walks with our one on one play time and now has time to just enjoy being a dog. And Eddie brought to my attention that all along it was I who was obsessed with the balls. I was the one who would gather them up before a walk to take with us. Now, with no balls, our free time walks are just that.. time for the dogs to walk and be free… sniff if they like, they can play tag, or play keep away with any of the selection of old ratty toys that live in the walking field. Our Free walks have now become a very enjoyable time to watch a pack of dogs do what happy dogs do best… be dogs.